– Powerful: NOW ADJUSTABLE with 3 different levels of Ultrasonic frequency making this unit VERY Loud!! The MouseBlocker Pro is the most advanced rodent deterrent available for your vehicle. The MouseBlocker Pro takes everything great about the Original MouseBlocker and makes it better. The Powerful Ultrasonic Sounds emitted from this unit are now adjustable and now even louder than the Original. 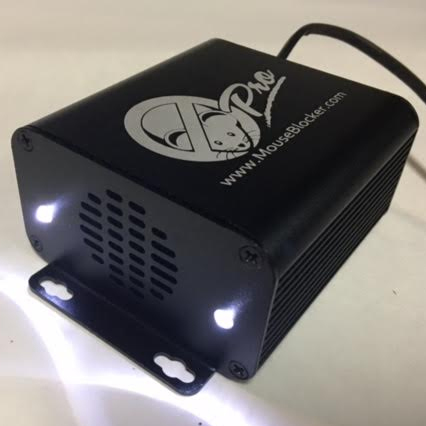 This new unit also adds a new deterrent in the form of 2 Bright Strobing LED lights simply adding another feature the rodents do not like in our attempt to make the area very uncomfortable for the rodents to nest. Our All Aluminum Alloy case is designed to protect our new advanced microcomputer and dissipate heat. Simple 2 Wire hookup wires directly to the vehicles battery. When the vehicle is parked and the engine is not running the MouseBlocker goes to work to protect the area you have it mounted. Once you start the vehicle our microcomputer will automatically sense a change in voltage and turn the MouseBlocker Pro OFF. While sitting if the battery voltage drops below 11V the microcomputer will also shut the unit off as to not drain the battery too low (this takes about 10 days on a standard car battery). 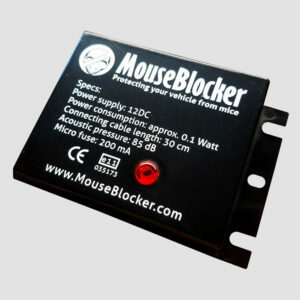 The Mouseblocker PRO is very powerful and uses .6 watts of power to operate. The unit will shut itself off to protect the vehicles battery when voltage drops to 11V, this usually takes about 10 days on a standard car battery. We do not recommend this model for use on applications that sit for more than 10 days without reuse or charging. 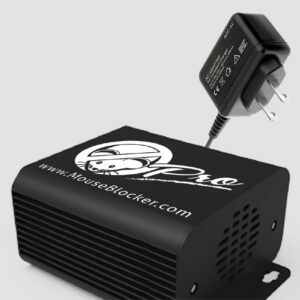 Please see our NEW Plug In PRO Model for a long term storage solution. 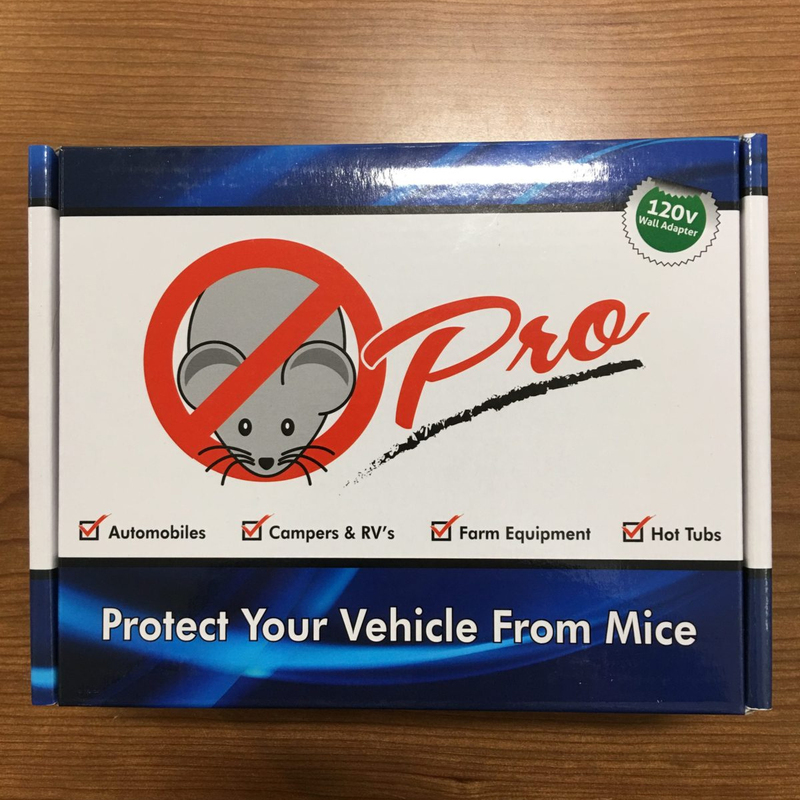 Use what the Pros use: This product is sold at hundreds of New Car Dealerships, Parts stores, tractor and motorcycle dealerships throughout North America!! 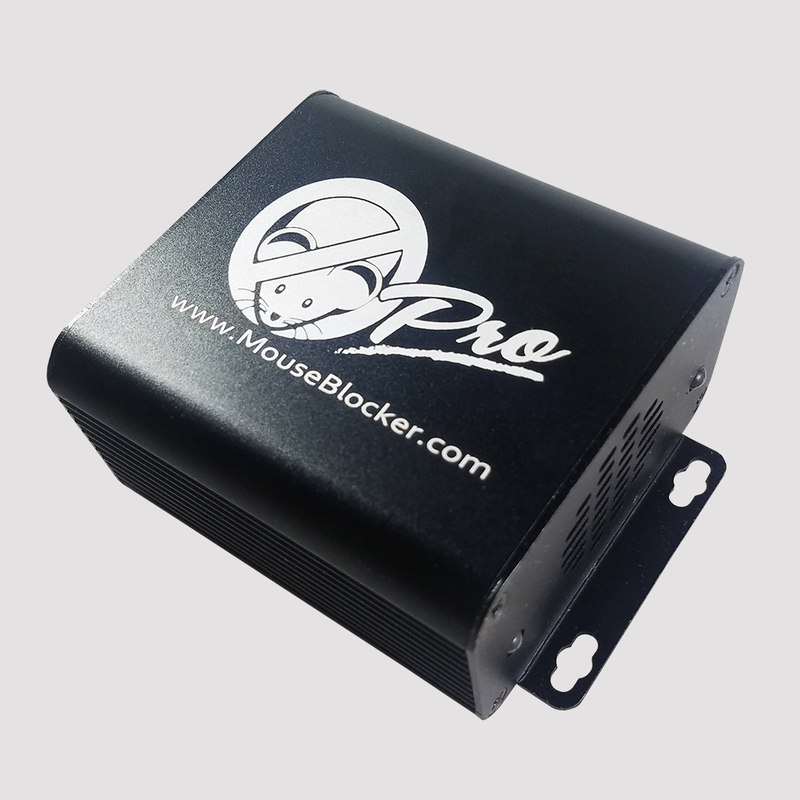 Protect your vehicle today with the NEW MouseBlocker Pro!! Note: This unit is LOUD and on the highest settings most humans can hear the sounds emitted as will some household pets like cats and dogs. 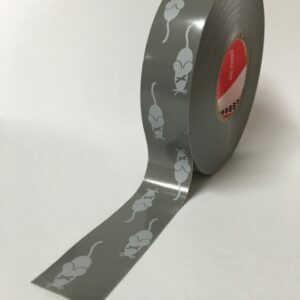 The sounds WILL NOT harm them in any way you will just notice the animals will leave the area the unit is located and if under the hood of your vehicle the sounds for the most part will be contained to the engine compartment anyways.